Expedia has some excellent Es Canar holiday packages. Combining your bookings is one of the simplest ways to save time and cash — and get your trip off on the right foot. When you book a package deal on Expedia, you can save as much as 15%*. Our enormous database allows you to search more than 321,000 properties worldwide and 400 partner airlines. With such a terrific range of options, arranging your dream holiday will be a piece of cake! We have all the red hot sightseeing tips for your next trip to Es Canar. Grab your travel diary and get ready to start padding out that itinerary. A great way to truly immerse yourself in a city's culture is to explore its lively marketplaces. Browse the merchandise and shop like the locals do at Las Dalias Hippy Market. There's a great range of things to do in and around this destination. An easy way to truly immerse yourself in a region's culture is to visit its busy marketplaces. Peruse the produce and shop like the locals do at Punta Arabi Hippy Market. Still got time to spare? If you're eager to shave some strokes off your handicap, then head over to Golf Club Ibiza. Grab some clubs, improve your technique and talk to the friendly locals at the 19th hole. 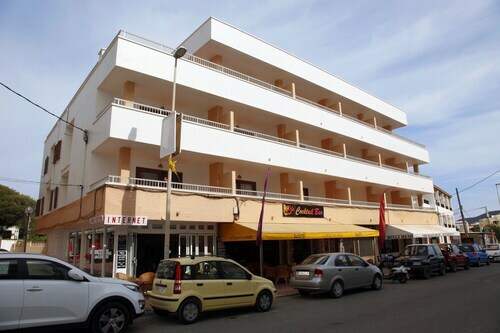 You can expect a huge variety of accommodations when you jet off to Es Canar. With no less than 53 properties available, it won't be difficult booking a comfortable place for your next cheap holiday or luxury getaway. 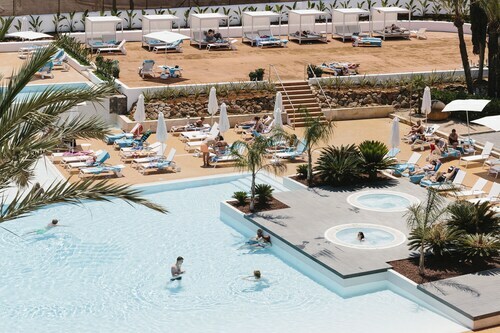 The Aguas de Ibiza Lifestyle & Spa (Salvador Camacho, 9) and the Insotel Fenicia Prestige Suites & Spa (Calle Narcisos) will appeal to those who love a little luxury and want to squeeze in as much relaxation time as possible while on the island. 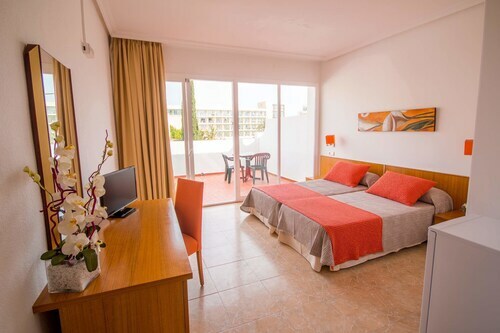 If you are on a tighter budget, you will enjoy the Apartamentos Ros (C/ del Río, 37) and the Globales Montemar Apartamentos (C/ Kilimanjaro, 15), two of the island's less expensive choices. 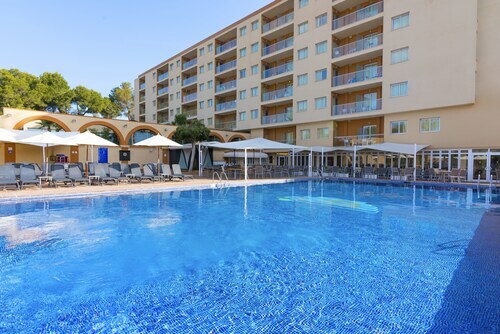 Got the tickets booked for your trip to Es Canar yet? When you get there, prepare to walk out into Ibiza Airport (IBZ). It's 14 miles (23 km) from here to the heart of town. Nestled on the beach, this Santa Eulalia del Rio hotel is within 2 mi (3 km) of Punta Arabi Hippy Market, Cala Martina and Punta Arabi. Las Dalias Hippy Market and San Carlos Church are also within 3 miles (5 km). Excellent stay , fab staff , great food . Another great stay at these apartments, great place with great staff helpful & friendly. A lovely hotel that was exactly what we required. We were on a 3 day photography trip so luxury and a pool were a lot less important than practicality and space. The facilities were spot on and check in and out was a breeze. Fab stay at Alusoul hotel. Staff extremely friendly and attentive, nice extras such as coming round with fruit/ slush puppies whilst sat around the pool. Very clean, both rooms and public areas. Lovely resort, very small and intimate but some lovely restaurants to try.